Leeward is a sloping 2.7 acre site in a New England island setting. The property lies within the coastal jurisdiction and contains a native canopy and understory at its edges. 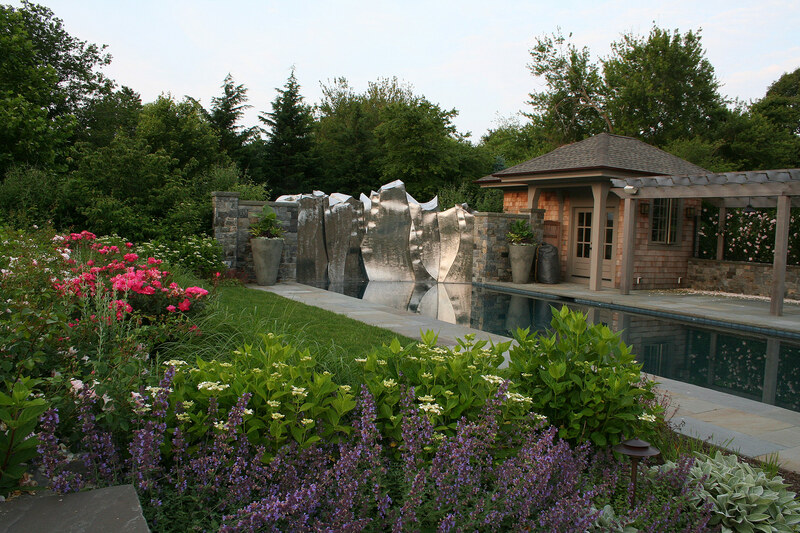 The project scope included drainage and site stabilization, driveway location, rain gardens, wildflower meadow, swimming pool and spa, native buffer revegetation, privacy screening, custom fencing and gates, vegetable garden, pergola, lighting and outdoor boulder fire circle. The first priority was to address the surface drainage, since the house sits in the middle of a downward-sloping site. The surface runoff created by the existing open lawns and overflow from the street threatened the house and basement level with every storm. 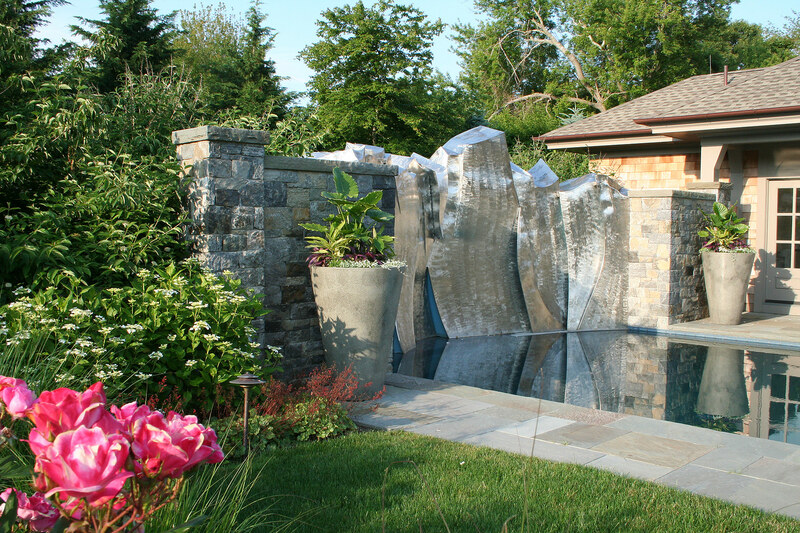 Our solutions were technical in nature but we used them as opportunities for design details that enrich the experience of and connections to the site. The motorcourt had to be pitched away from the house and against the natural slope, requiring retaining walls. The driveway needed to be regraded and reconfigured to reduce the pitch of the open lawns on the uphill side. What was originally mowed grass was transformed into meadow to slow the rate of flow. A series of vegetated swales, drains and infiltration cisterns now capture the rainwater, and direct it around the house. 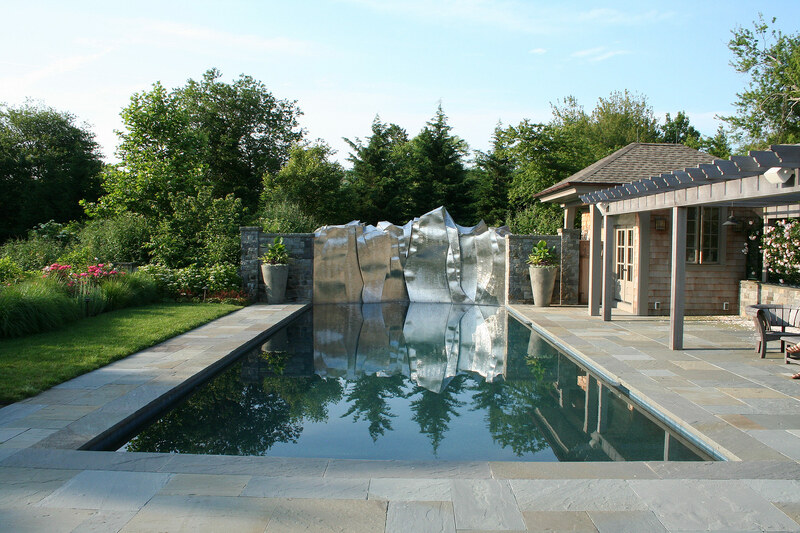 The pool terrace is located to the south of the house, and contains a small pool house, pergola for shaded seating, a raised spa, and a stunning stainless-steel sculpture wall representing the ice cliffs of Antarctica. 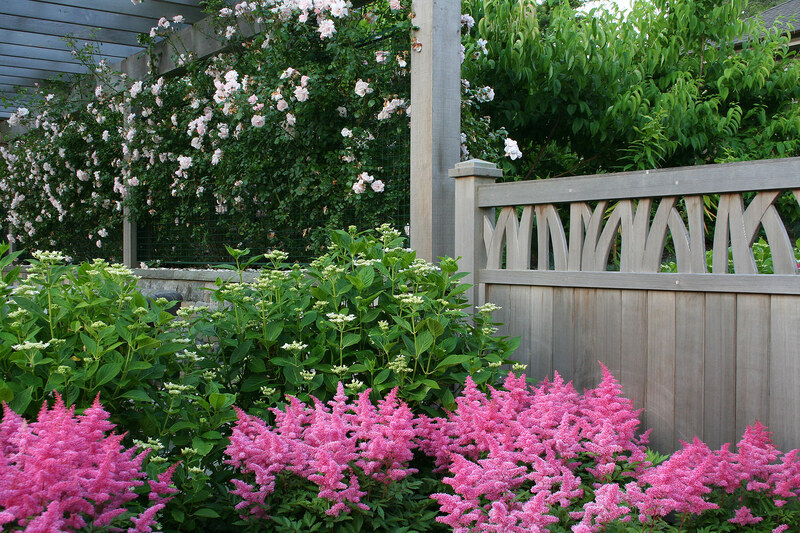 Full perennial borders surround the grass terrace around the pool. 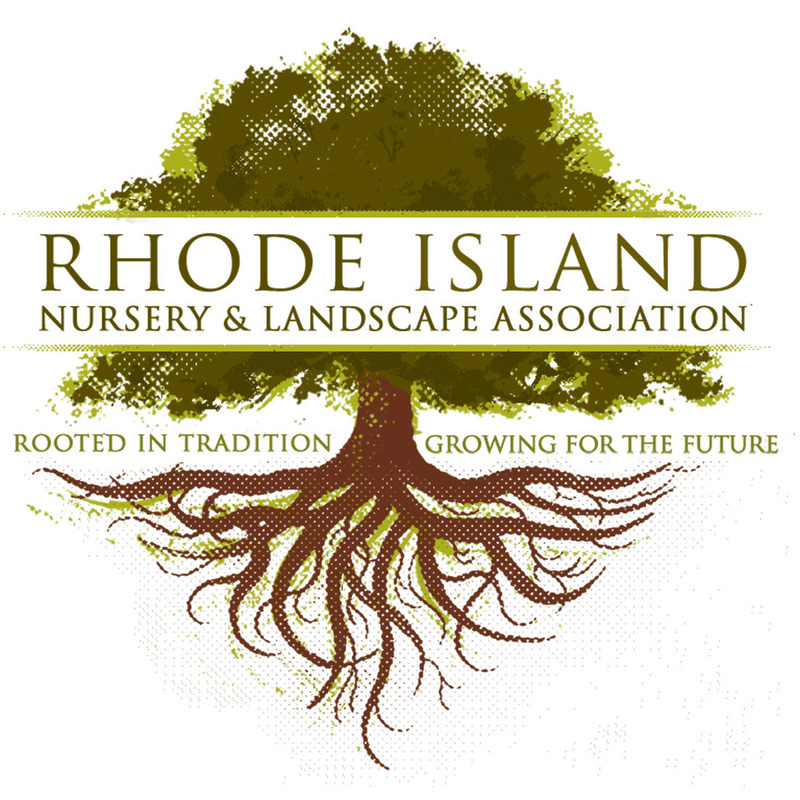 A native palette of perennials and shrubs expands the required coastal buffer, and adds seasonal interest and wildlife to the gardens. Large boulders were added to existing outcroppings to create a natural fire pit. This use of large stones continues up the hill to create retaining for and steps to a mezzanine lawn and garden terrace. 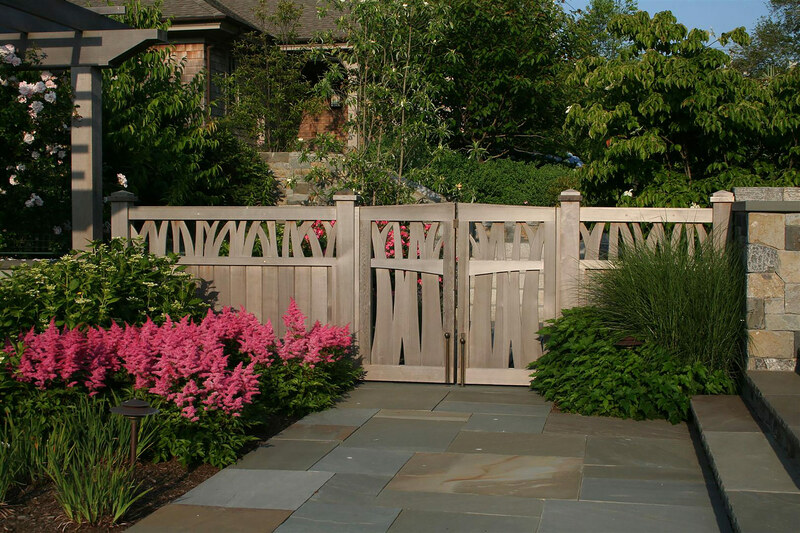 The natural grasses along the coast, reinforced by the meadow grasses and ornamental plantings create a visual theme that is reflected in the design of the fences and gates.